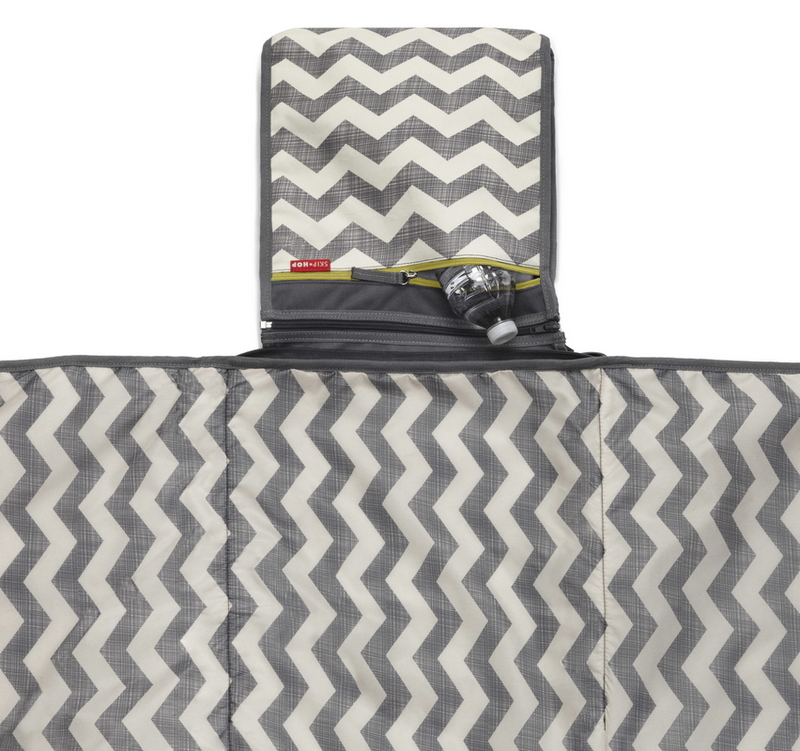 Wherever you roam, Skip Hop Central Park Outdoor Blanket & Cooler Bag is ready for the beach, park or playtime at home! Once you reach your destination, it unfolds into a spacious 5' x 5' water-resistant blanket, keeping everyone's picnic clean and dry. 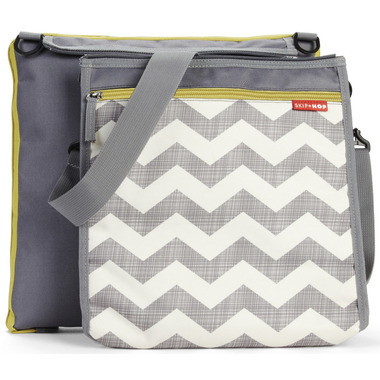 This versatile blanket features an insulated cooler bag to chill snacks and drinks; there's even room for mom and dad's essentials. 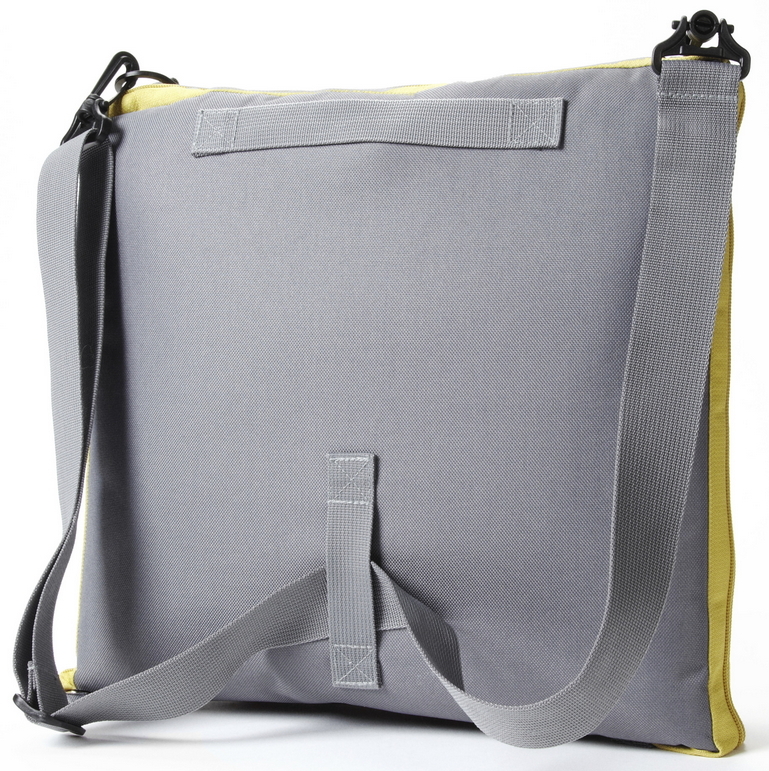 Detach the cooler bag and it's a compact messenger for quick trips to the ice cream stand! Love this. Great for the park and beach as sand comes right off. Packs up easily and is durable. We are 5 years into ours and it has held up really well. This Skip Hop Central Park Outdoor Blanket was my mother's day gift and it is the best thing I ever got for the summer time! My family and I use it all the time on bike trips, walks to the park and camping. 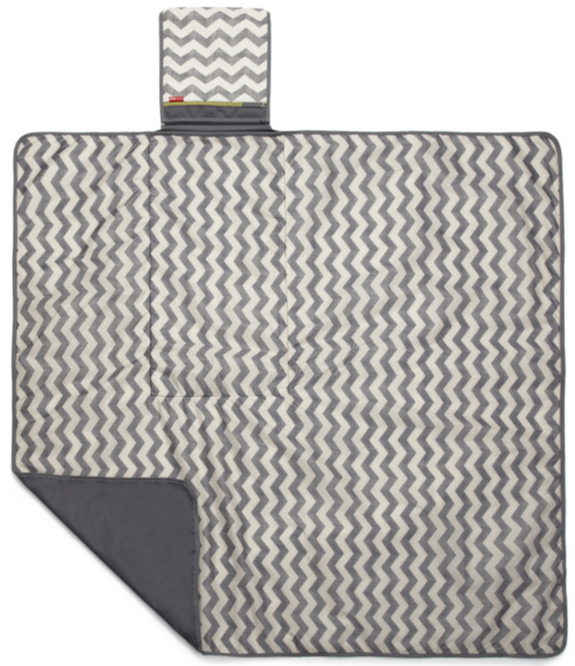 The blanket is large, waterproof and love the design. 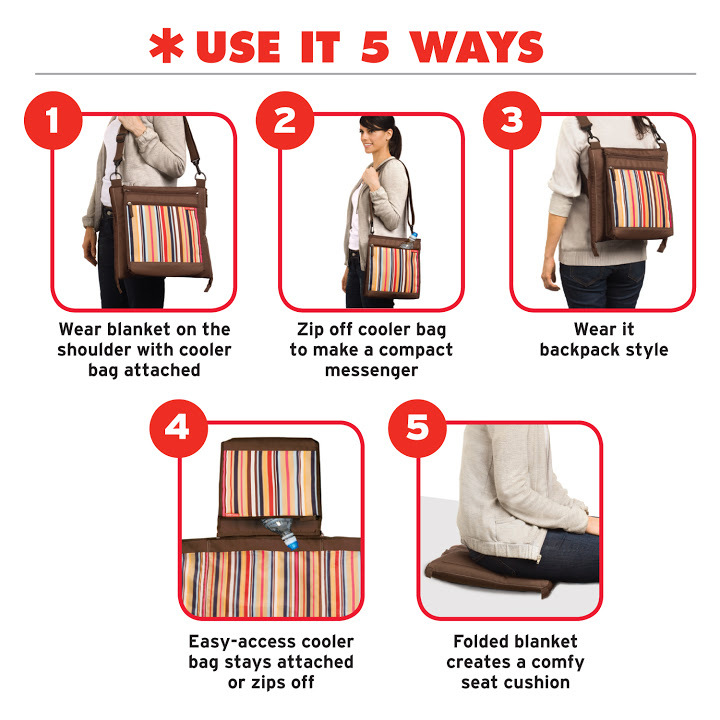 The 5 way to wear is easy to do and the cooler bag part holds a couple of water bottles, keys, snacks and more. Well worth the price as we will have it for years to come!